The Architectural League of New York’s Emerging Voices competition identifies leading talents in architecture and design in the U.S., Canada, and Mexico. Meet the eight 2016 winners that were selected for their “distinct design voices and significant bodies of realized work." Each firm will deliver a lecture this month in Manhattan. The second lecture takes place tomorrow, Tuesday, March 29 at 7:00 p.m. when Rozana Montiel and Omar Gandhi present their work. 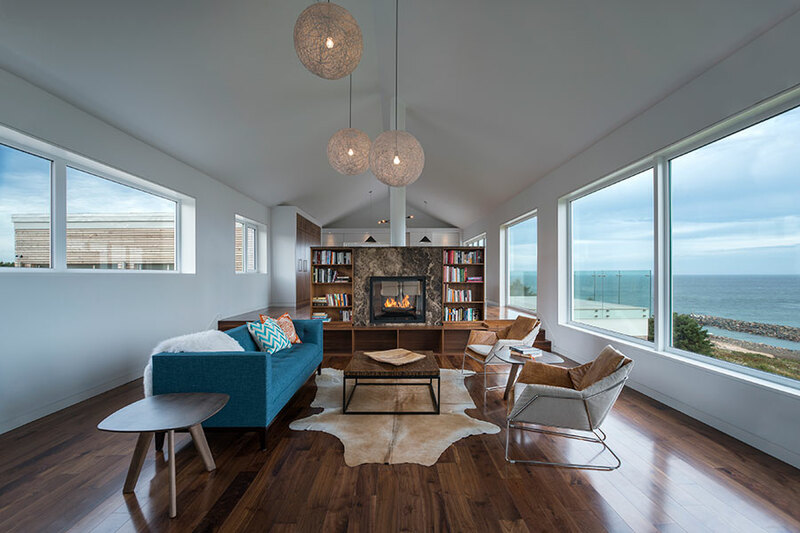 After completing his undergraduate studies at the University of Toronto, Omar Gandhi “decided on a whim” to move to Nova Scotia, where he received his master of architecture at Dalhousie University in 2005. The decision made a profound impact on his work, which employs the school’s emphasis on craft and the region’s traditional materials and techniques with a modern take. “How do we take things that people know how to do, like board and batten, and push it to the limit?” said Gandhi, who worked for Canadian firms like Young + Wright, MacKay-Lyons Sweetapple, and KPMB before starting his own design studio in 2010. Rabbit Snare Gorge, Inverness, NS. 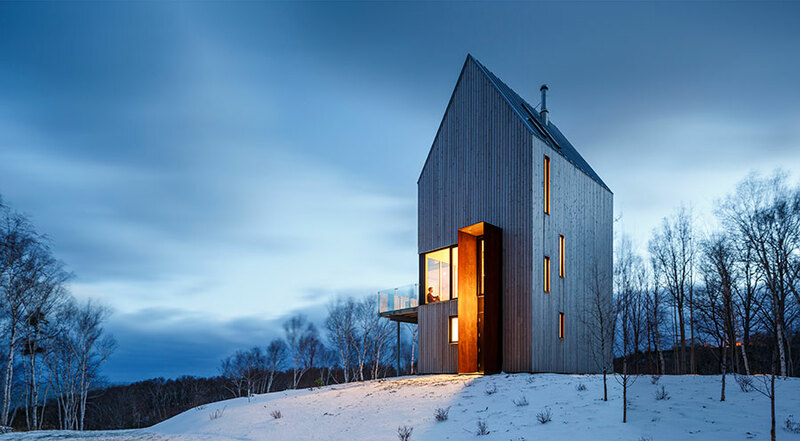 More recently, Rabbit Snare Gorge, a cabin in Inverness, Nova Scotia, employs similar ingredients and extrapolates them even further. The verticality of the exterior’s cedar boards is emphasized by making them quite narrow and stretching them for longer lengths. To reinforce this tall effect and protect occupants from the elements, Gandhi installed a 22-foot-tall CorTen steel entry hoop. The birch plywood inside is still rough, but slightly more refined than the interior cladding for the Moore Studio. Still its texture and even smell recalls “something people have inherent memories of,” said Gandhi, making it feel comfortable. 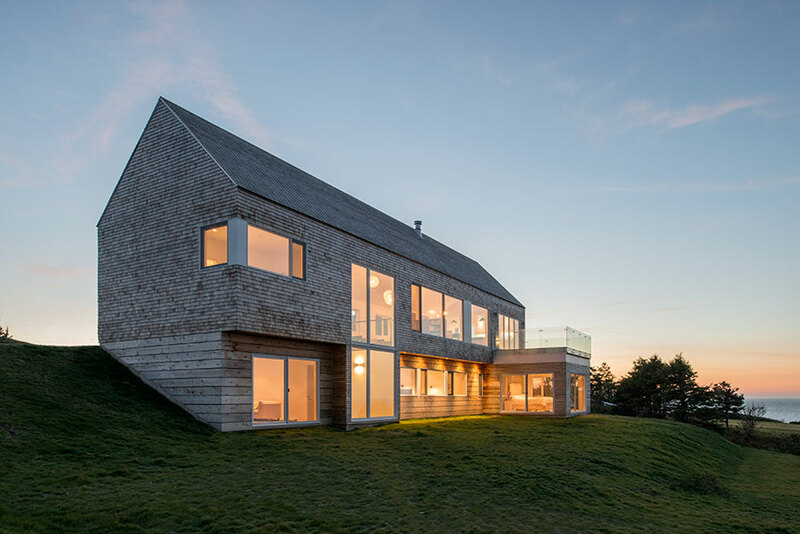 The Float house, in Halifax, Nova Scotia, pushes the whole concept of a residential typology. 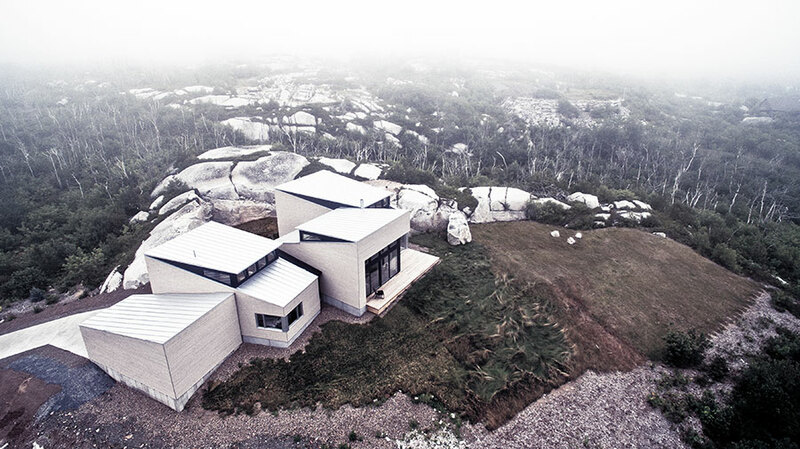 It breaks up the solitary mass of most homes into four interconnected spaces, and outside it is meant to evoke the massive boulders that pop out of the ground on the site. Clad in the grayish-yellow hue of timber, volumes pop up like the headlights of a sports car, allowing in light and glowing at night. “People are often surprised by the quirkiness of some of the projects. But it’s not that far off from the way people used architecture in the past. Maybe it’s not turned on its head, but on its side,” Gandhi said. The next step, he added, is bringing this pastoral sensibility to the city, where he is in discussions about multifamily and other urban-scale projects.